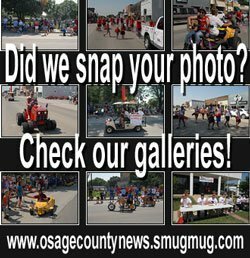 Osage County Emergency Management and Osage County Local Emergency Planning Committee will host a training and exercise planning workshop at 7 p.m. August 25, 2016, in the Meyer Conference Room, at the Osage County Sheriff’s Office, 141 W. 14th St., Lyndon. 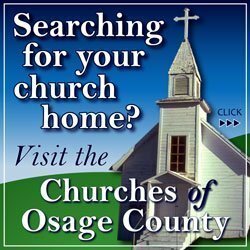 The focus of the workshop will be to provide participants the opportunity to develop a coordinated and comprehensive exercise and training calendar, using the capabilities-based planning process, to support the priorities and needs of all response partners within Osage County. The workshop is designed to assess capabilities and preparedness levels of participating agencies, identify a cycle of exercises that increase in complexity to improve capabilities, and prepare a multi-year training and exercise calendar for 2017, 2018, and 2019. A multi-year training and exercise calendar uses a combination of exercises to accomplish program goals and objectives. It uses a building-block approach that exposes participants to increasingly complex exercises, and training is tied to exercises so that training objectives are achieved or validated. Participants from local agencies planning to attend are asked to contact Romine to ensure enough handout materials are available. Romine can be reached at 785-828-3323, or 131 W. 14th St., Lyndon. 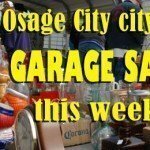 Information thanks to Osage County Emergency Management.